We have finally released our first WordPress Magazine Theme in 2016. It is named Poseidon and can be downloaded and used for free. A lot of you were looking forward to see a new theme from us, especially since we were busy with creating plugins and translating our website to German in the last quarter of 2015. 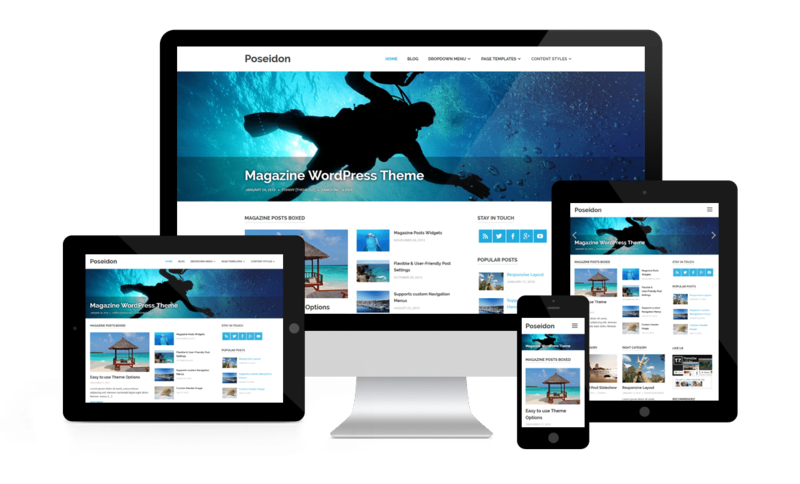 In 2016, we plan to release at least 12 themes and truly hope we can meet all your expectations, starting with our beautiful Poseidon Theme.